Nineteenth century singles hungered for love just as much as they do now. Personal ads – sometimes known as “lonely hearts” ads – flourished in Britain in the late 17th century when an entrepreneurial pamphleteer realized that love would likely sell just as any other commodity. American editors, too, seized on the possibilities of love, advertised. Slate’s history blog Vault recently posted a selection of vegetarian personal ads from The Water-Cure Journal, the primary voice of the hydropathy, or water cure, movement, one of the most popular 19th century irregular healing systems. Hydropaths believed in the healing power of cold, pure water, and prescribed an intense regimen of bathing, showering, soaking, wrapping, and drinking (of water, of course) to heal disease. Patients received treatment either through a stay at a residential water cure or by following the instructions in any number of DIY water cure manuals. Americans of all kinds were drawn to take the healing waters, though most were of a reforming bent. 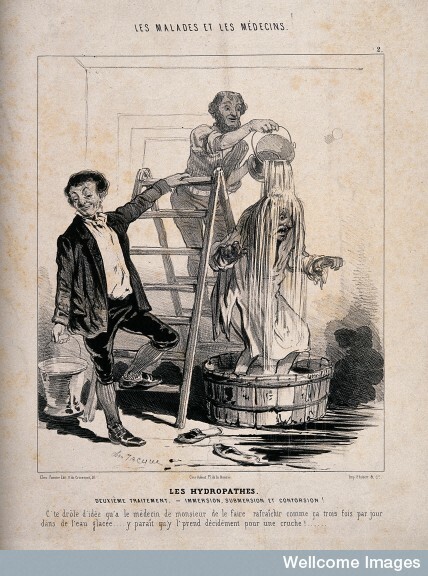 Hydropathy was often only one of a panoply of reforms and causes its followers championed. And they looked for the same in a mate. 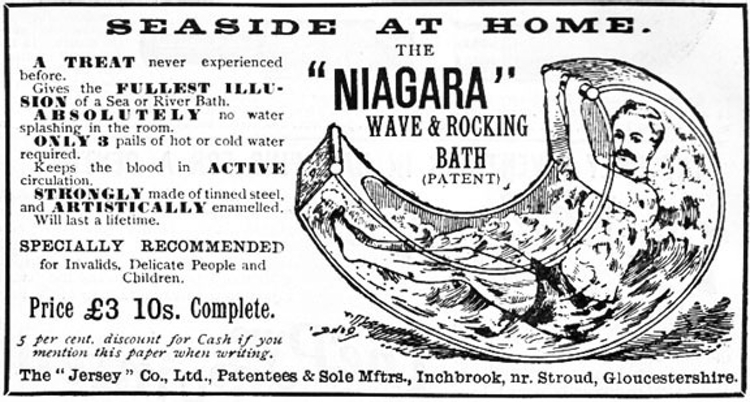 Personal ads under the heading “Matrimony” appeared in many back pages of The Water-Cure Journal. Jennie wasn’t alone in her distaste for stimulating hot beverages. Many followers of irregular healing, including hydropaths and homeopaths, believed that coffee and tea interfered with healing and in some cases, might even make you sicker. Phrenology’s appearance in Gertrude’s ad is far from surprising. The journal’s publisher, Fowler and Wells, were well known advocates and practitioners of phrenology and also published the main phrenological journal. Phrenology posited that character could be scientifically read on the bumps of your head. Brothers Orson and Lorenzo Fowler believed that the answers to nearly all life’s questions could be found in phrenology, from career paths to marriage prospects. Lorenzo had himself determined the suitability of his own wife Lydia Folger through an early courtship head reading. Like Jennie, Gertrude, too, prefers a man who doesn’t drink tea or coffee, though I’m not sure what she has against feather-beds. It may suggest a type of luxury thought immoral to the pious reforming type. She’s also willing to date a man with a beard – “I care not if anti-razor.” Beards had not yet reached the hairy, be-mutton-chopped heights of the Civil War. For much of early American history, a beard marked a man as an unconventional rebel or outsider. Though facial hair was generally unpopular, Gertrude was willing to look past it for love. Announcing the 1850 birth of his daughter in the pages of the Water-Cure Journal, Thomas Nichols asserted that childbirth could be not only easy but nearly pain free for women. His declaration wasn’t the smug opinion of a man standing idly by while his wife labored for hours in the other room. His wife, in fact, fully agreed with him. Mary Gove Nichols’s secret was hydropathy, a system of healing that relied on the power of cold, pure water to flush sickness from the body. Mary had suffered the agony of four successive stillbirths before submitting to its rigorous but healthful routine. Coming from anyone else, few Americans would likely believe their claim but Mary was one of the most influential and authoritative advocates of hydropathy in the nation. 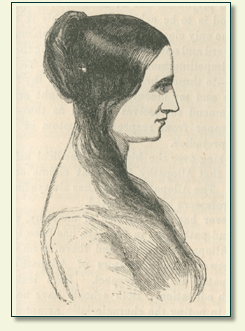 Largely self-taught, Mary first made a name for herself in 1838 lecturing — a scandal in and of itself for a woman — on the shocking topics of women’s health and anatomy. Women’s health was a topic rarely, if ever, discussed at the time. Standards of female propriety meant that many women endured their sicknesses in silence to avoid being examined by a man. Mary made it her mission to educate women….